It’s sad to say but you don’t go to Cuba to eat. The people trump the food to a greater extent than I’ve ever experienced in my travels. 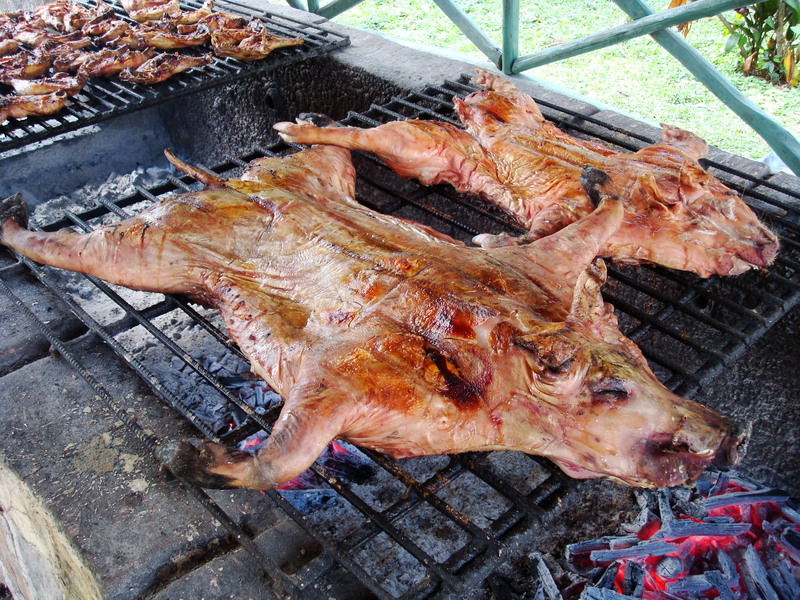 And the Cuban people eat a whole lot worse than the sum total of meals I ate while there. Cuba, however, is worth the effort it requires to pay it a visit. The travel license (or not), the erratic flights from Cancun to Havana, the uncertain access to hot water in all but the best hotels, the dearth of toilet paper in bathrooms, and myriad other deviations from the quality of life in developed economies are psychological obstacles — and that is all they are. When you are in Cuba, you adjust. At the risk of sounding sentimental, every smiling Cuban man and woman and the surround-sound Latin music every second of every minute of every day repay the effort. And, now that I’ve spent nine days in Havana, you want to go there before the embargo is lifted. When I boarded the plane in Havana for home, I had the strong sense that, as difficult as life is for the Cubans, the advent of the free market will make life a lot worse for every Cuban except a minority. The narrow spectrum of income disparity we observed will only widen and leave the vast majority of Cubans in poverty. My friends and I took the no-frills road to Havana. We stayed in two bed & breakfasts (basically private homes), avoided the high-end restaurants in the big hotels, and rode public transportation more often than we took taxis. Even so, we found the cost of tourist living in Havana to be more expensive than Cancun. What follows are not so much recommendations of where to eat and stay as guidelines to bear in mind when deciding to go and while you’re there. For guides, we used Lonely Planet’s guide to Cuba. We also found Moon Handbook’s Havana, by Christopher P. Baker useful and interesting, although he let us down in one critical way (see below). 1. If you’re from the U.S., bring cash, about $400 for a week. As of January, 2010, you will have no access to credit or bank accounts while in Cuba. No one with a U.S. bank account of any kind can draw cash on it. 2. Make up your mind beforehand that you can forego some of the amenities we take for granted: hot water, toilet paper, an environment free of leaded gas fumes. If you stay in one of the big hotels, like the National Hotel, you may not notice the inconveniences. However, if you stay in casas particulares — the bed & breakfast inns in private houses — be flexible. The proprietors may not turn on the hot water heater until 7:30 a.m. and even then you may wonder if the shower in your room is connected to it. Nowhere in Cuba can the plumbing endure toilet paper. You deposit your paper waist in the trashcan next to the toilet. 3. Be thankful for the food you eat. 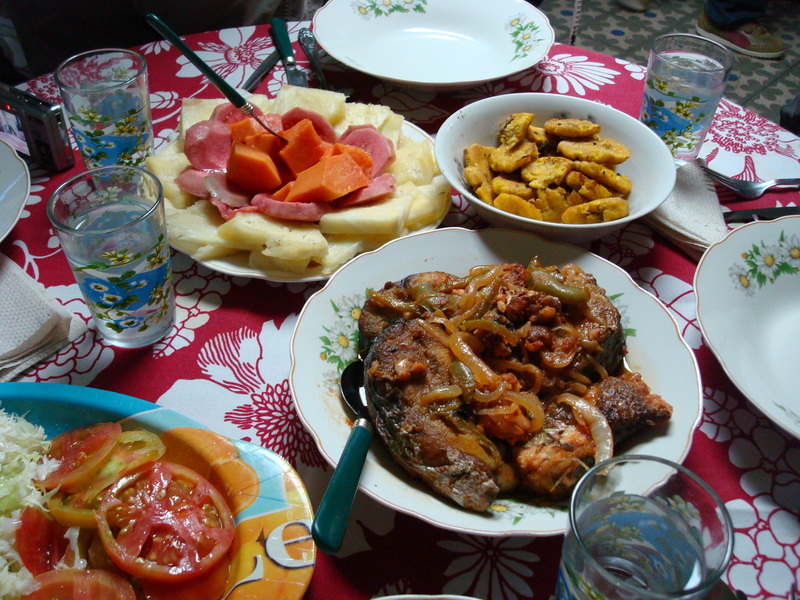 Expect to eat a lot of congrí, the ubiquitous black beans and rice dish, fried plantains, and shredded, salted cabbage. Vegetables are in short supply. We ate chicken, lamb, pork, and fish. Beer and rum are the main alcoholic drinks. We didn’t drink water out of the tap, but we did eat salads and fruit with no subsequent stomach problems. 4. 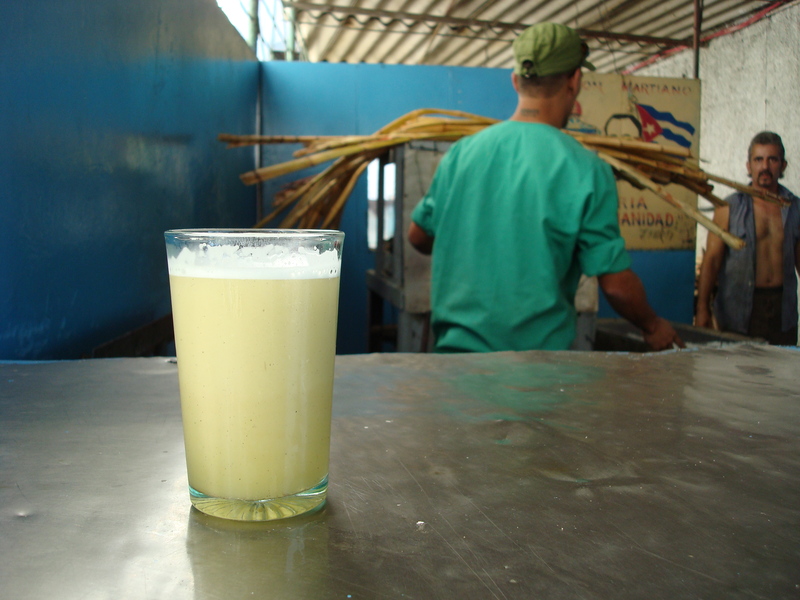 Cubans lack toiletries, creams, lotions, cosmetics, and paper products. Hell, they lack everything. And so they like gifts. I might even go so far as to posit that some Cubans expect gifts. That’s what happens to a people living in an economic system that has depended for fifty years on the kindness of strangers. 5. For all its decay, exhaust fumes, and litter, Habaneros and their homes are clean. Cubans seem to put a lot of effort into making their domestic space spotless if not attractive (by my standards). Walking through the streets of the city, we saw people swabbing floors with mops. We rode crowded public buses and noticed that Cubans dress neatly and cleanly. 6. Whatever you buy — and there’s not much to buy except cigars and rum — be prepared to lose it. No matter how up to date your guide appears to be, U.S. Customs is always one step ahead. Christopher Baker’s Moon Handbook guide to Havana (2nd edition) promised me that since I was traveling to Cuba with a license I would be able to bring into the U.S. up to $100 in goods, including cigars and rum. It didn’t work out quite like that. I put a bottle of Havana Club 7 yr old rum in my suitcase. I saw it on the security screen as it went through the machine in Denver. But the customs agents let it through. One of my traveling companions lost the $35 worth of cigars he carried. Another in our group got his through. A guy behind me in line as we went through customs lost all five bottles of rum. In other words, we could not detect a pattern. You buy your ticket and you take your chances. I’m sure more thoughts will occur to me and so I’ll update this. Hi there could I use some of the information found in this post if I provide a link back to your site? Nice of you to ask. Be my guest.